Many people think the most recent James Bond film, Skyfall, was one of the best. 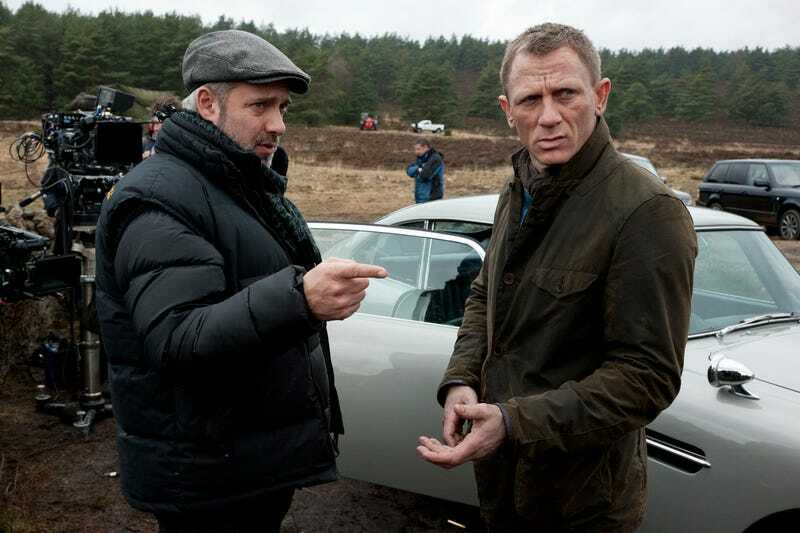 Credit for that goes largely to director Sam Mendes, who brought his Oscar-winning skills to the action franchise. He begrudgingly came back for the upcoming film, Spectre, but now says this will probably be his last one. I said ‘No’ to the last one and then ended up doing it, and was pilloried by all my friends. But I do think this is probably it. I don’t think I could go down that road again. You do have to put everything else on hold. It has been a very difficult decision not to accept Michael and Barbara’s very generous offer to direct the next Bond movie. Directing Skyfall was one of the best experiences of my professional life, but I have theatre and other commitments, including productions of Charlie And The Chocolate Factory and King Lear, that need my complete focus over the next year and beyond. I am very pleased that by giving me the time I need to honour all my theatre commitments, the producers have made it possible for me to direct Bond 24. I very much look forward to taking up the reins again, and to working with Daniel Craig, Michael G. Wilson and Barbara Broccoli for a second time. Which is a nice way to say, maybe he’ll change his mind again. But I wouldn’t bet on it. The difference this time is he’s not citing anything specific when it comes to not returning. He’s talking about the all-consuming job of directing a movie of this magnitude. “It really is more a lifestyle choice than a job,” Mendes said. Then again, if Spectre somehow tops Skyfall, who knows what’s possible. Spectre comes out November 6 in the United States.